﻿​​​ UM Tactical introduces its new modular recoil management system. Defined as Rapid Adjustable Gas Expulsion, this is a Total Compensation System. This new patent pending rifle compensator is the world’s first re-configurable recoil management device. Each kit includes 6 adjustable tuning port washers (X5 for 223/5.56), our port washers allow you to divert the high pressure with interchangeable angled ports providing exceptional performance. The included TCS Barrel device has three port washer mounting zones (high, mid, low pressure). This allows the user to completely adjust the gases to not only best fit the rifle, but the shooter as well. 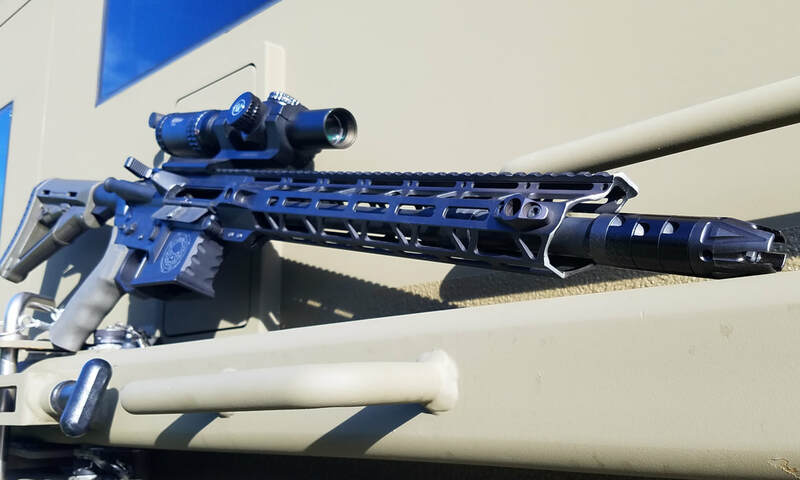 Our system does not require any drilling to adjust and allows the user to change the gas direction by simply changing the washers or even just their location on the muzzle device. The UM Tactical R.A.G.E. TCS is the clear leader in muzzle recoil management devices. -Additional Port Washers and Muzzle Barrel Nuts available for even more configurations. 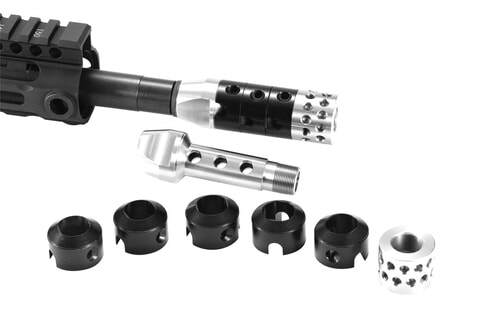 Includes: Case, Barrel device (list thread pitch), Muzzle Nut, 6 Port Washers (5 for 223/5.56), Crush Washer, 4 set screws and a Shooters Configuration Log. Please contact us if you will be using this device on full auto firearms.